Call number suffixes are codes that succeed a call number. Select Admin → Server Administration → Call Number Suffixes. 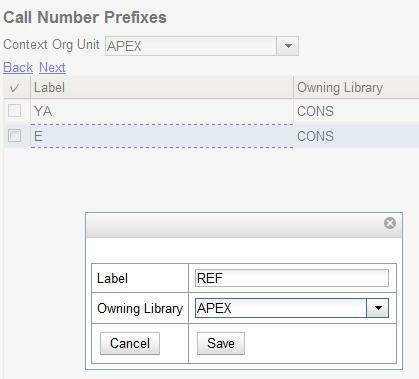 Select the owning library from the drop down menu. Staff at this library, and its descendant org units, with the appropriate permissions, will be able to apply this call number suffix.